Discussion in 'Fan Art' started by phil, Jan 29, 2006. Hi everyone, I'm new here. I have some art posted at blue tights and the Supermanhomepage. Thought I would give this forum a try. Here's a color pencil drawing of Chris Reeve, it's not done yet, still have to finish the background then blend everything together. 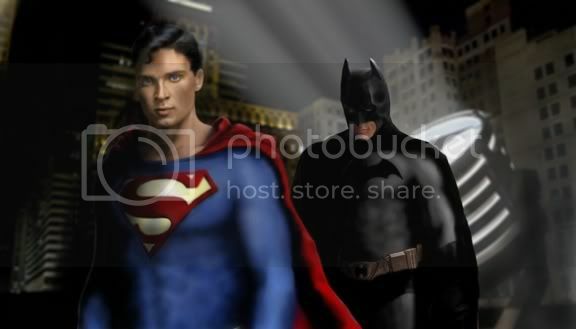 Here's a manip of Batman and Superman of what I would like to see on the big screen. 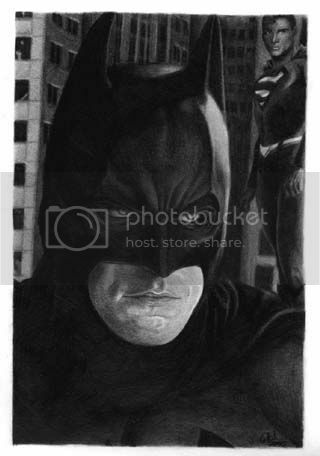 Here's a small black & wht drawing of Batman and Superman. that first one is awesome...really badass. man your pencil skills are beyond great! 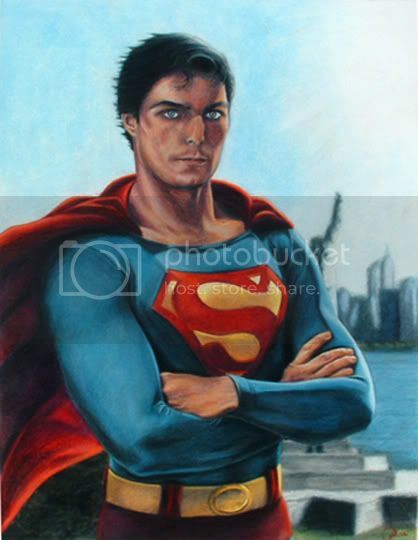 love the Reeve one....the hair's a lil' off, but the colors are great. and even though i would never want to see Welling as Superman, that black and white peace is still nice. Mamma mia! It's-a so-a cool-a!! Some amazing stuff. 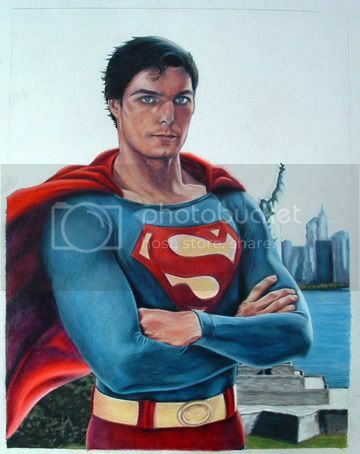 I love your drawings with Batman and Superman.